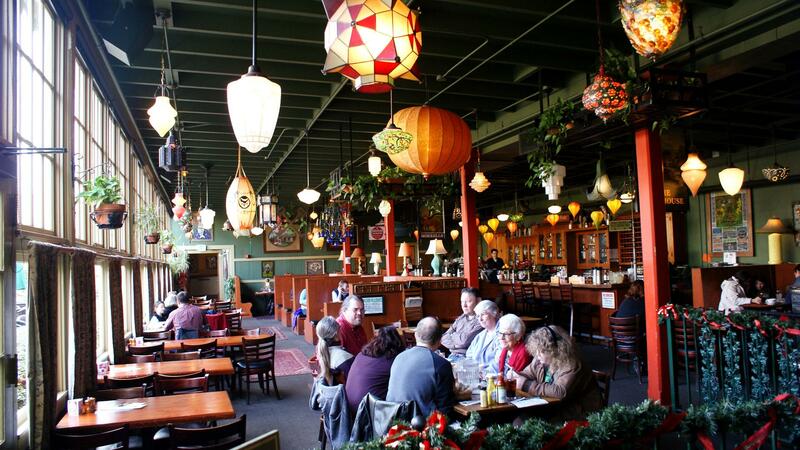 Rent McMenamins Kennedy School | Corporate Events | Wedding Locations, Event Spaces and Party Venues. Since its 1915 opening, this historic elementary school has been a beloved fixture of its Northeast Portland neighborhood. McMenamins renovated the once-abandoned scholastic gem and turned it into Portland's most unique hotel. This former elementary school turned hotel will take you back to a time of wonder and imagination and provide you with the perfect setting for your wedding day. The historic 1915 grade school was slated for demolition until the McMenamin brothers purchased the property and renovated it back to its original charm. Today, it’s a wonderful hotel and event space offering guestrooms, beautiful artwork by local artists, the Detention and Honors Bars, an outdoor heated soaking pool and more. Your wedding will be one-of-a-kind, whether it’s held indoors in the gymnasium, outdoors in the courtyard or in one of our other intriguing spots. The Kennedy School is located just minutes from downtown Portland and the Portland International Airport. McMenamins Kennedy School has several event spaces. Here you'll find 57 comfy guestrooms with private baths and telephones (some fashioned from former classrooms complete with original chalkboards and cloakrooms – others with an author's theme), a restaurant, multiple small bars, a movie theater, soaking pool, gift shop and a brewery (just wait until the principal hears about this!). Extensive original artwork and historical photographs cover the walls, ceilings, doorways and hallways.